Online Tourism: Delicious Pie Bitten by Foreigners? In the time of Technology 4.0 when the internet is intermingled with in all aspects of social life from entertainment, study and business to shopping, tourism cannot stay out of this trend. Therefore, online tourism has extremely strong potential, but this pie is still kept by foreign businesses. The opportunity for domestic businesses is still open. Previously, travelers had to learn through books, newspapers or travel agents about destination information. With the boom of technology, they can now sit in a place with an internet-connected device to schedule and prepare for a trip. According to a survey by Q&Me, a market research service in Vietnam, up to 88% search for online travel information before deciding and scheduling its journey. Meanwhile, the latest survey on global travel trends 2018 conducted by Visa showed that more Vietnamese tourists tend to travel abroad and over 90% of respondents shared that they use online channels to find out information and plan their trips. In another survey for international visitors, up to 71% refer to online destination information and 64% make reservations and buy services online for their trips to Vietnam. Without doubt, online tourism is currently a “delicious pie” if they know how to make it. Companies will have a big number of tourists and earn a lot of revenue. Social networking and internet are no longer merely passive information channels but have already become ways to promote and stimulate demand and crowd trends, create trends and boost the purchasing power of travelers. Today, driven by the diversity of information technology development such as website, Facebook, Zalo, Instagram and phone apps, travel businesses have more opportunities to approach domestic and foreign tourists. At the same time, visitors also have many different methods to access information, services and even online payment and receive tickets, making their travels more active and easier than ever. Currently, Vietnam has about 30,000 travel businesses and all have utilized the internet for advertising and business operations. However, their investment for this is only half-way, with slow connection and poor information, thus failing to meet travelers’ needs. Many products and services have not been encoded while payment options are slow and quite insecure. According to Gotadi.com, an online airline and travel company, two top online booking sites - Agoda and Booking - account for more than 80% of the online booking market share. They overwhelmed both segments - outbound traveling for Vietnamese tourists to the world and inbound traveling for foreign visitors to Vietnam. 80% of online tourism sales are held by foreign giants such as Booking.com or Traveloka. Foreign companies are generally strong in financial and technological capabilities, and they can thus easily grasp the market share in a very quick manner. According to data from the Vietnam National Administration of Tourism (VNAT), international tourist arrivals to Vietnam reached 14,497,791 in 2018, representing a year on year growth of 19.9%. It is clear that Vietnam's tourism is increasingly attractive to international tourists. 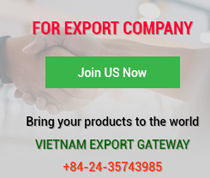 This is a potential market for the Vietnamese tourism industry in general and the online tourism business in particular to rebound and regain the market and hold the position in the domestic market. Mr. Pham Thanh Cong, representative of Nielsen Vietnam Company, said that, by 2030, ASEAN internet traffic will account for 44.6% worldwide. Therefore, ASEAN will be a major global destination for e-commerce development. 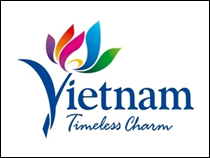 Driven by the growth of connected consumers in Vietnam and other ASEAN countries as a whole, the ASEAN tourism industry will be promoted. 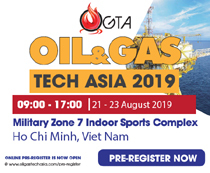 Particularly in Vietnam, urban residents have a high demand for mobile connectivity and online purchase of tourism-related products. According to the Google Consumer Barometer Survey on phone pickups, Vietnamese people pick up their phones 150 times a day, with 177 minutes of usage. Specifically, 48% sought hotel information, 42% searched traveling experience and 37% looked up flight information. Notably, the Southeast Asian online tourism market is projected to quadruple from US$21.6 billion in 2015 to US$89.6 billion in 2025, according to a report conducted by Google and Temasek Holdings in 2016. Moreover, boosted by the internet boom, as smartphones and technological devices become popular, the boom of online shopping and online tourism services is definite. Not staying out of that common trend, Vietnam's e-commerce growth reached over 25% in 2017 and this rate is expected to be maintained in 2018-2020. Remarkably, online tourism growth is as high as 50%, doubling e-commerce growth. Given online tourism development, Vietnamese tourism businesses have a better chance of competing with foreign rivals if they manage to utilize technology. 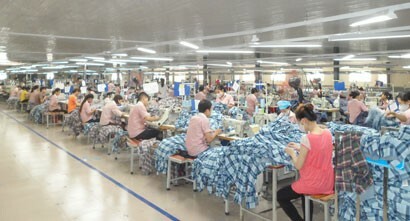 Besides, to develop online tourism, it is necessary to develop preferential mechanisms for Vietnamese enterprises. Many said that differences in tax and incentive policies has created great price advantages for foreign companies. For example, domestic firms have to pay a 25% corporate income tax but the rate applied to foreign companies is much lower. Furthermore, transactions with foreign online tourism companies are paid by international cards. This is a tough difficulty for regulatory agencies but an advantage for foreign companies. Mr. Truong Duc Hai, G7 President, Director of Hon Ngoc Vien Dong Company, said the online tourism market has developed very strongly and attracted a lot of players. However, comparing domestic and foreign businesses, we realize that, in foreign countries, they invest a lot in technology and diversify communication channels. Meanwhile, in spite of having diverse products, they lack investment in technology. 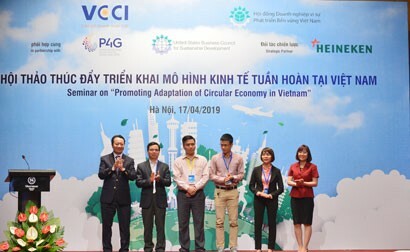 In addition to technological development and application, Vietnam needs to accelerate tourism human resource training and make good use of technological equipment, said Mr. Nguyen Tuan Anh, Vice President of UNESCO Hanoi Travel Club. At the same time, building a swift and secure electronic payment system is also a special factor because late payment or incidents will lead to distrust. It can be said that the online tourism market has huge potential for development as it brings great interests to all stakeholders. 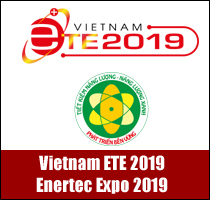 But, to compete with foreign giants right on the domestic market, Vietnamese enterprises must invest much in facilities and personnel while they need more incentives from authorities. 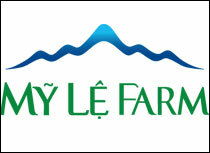 Then, the Vietnamese tourism industry will have stronger motivation for future development.